I’ve been knee deep in crafty land for the past few days. I recently got my hands on the just released Silhouette Curio and I dove right in to get all the nitty gritty to share with you! 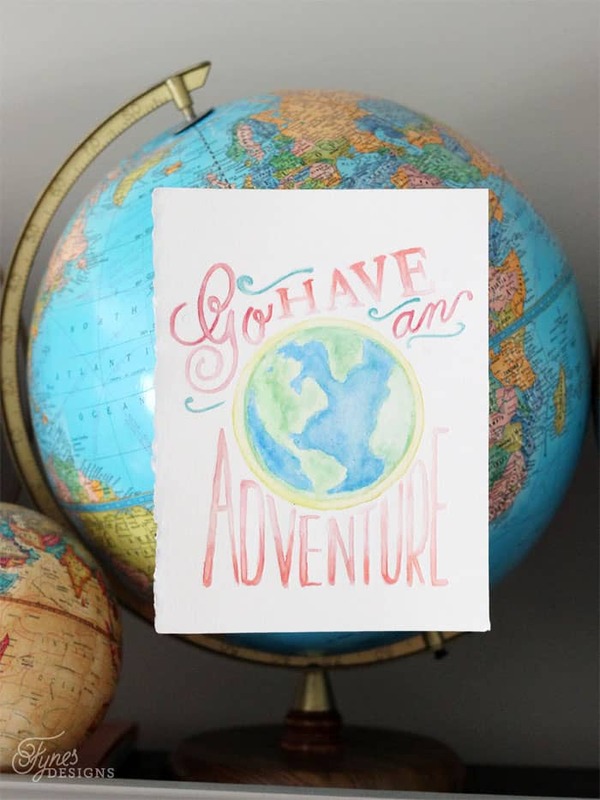 Plus I’ve got a Silhouette Curio discount code for you to be one of the first to grab one too! My first impression of the machine is wonderful. I think it helps that I’m already familiar with the Cameo, so I didn’t have a lot to learn. I did find figuring out which mats go to what process, but after sorting that out, I was cutting, drawing, embossing, and painting, yes painting!! My first instinct was to use wood, the clearance is much larger on this machine so you can feed in thicker materials like this 1/8″ plywood. 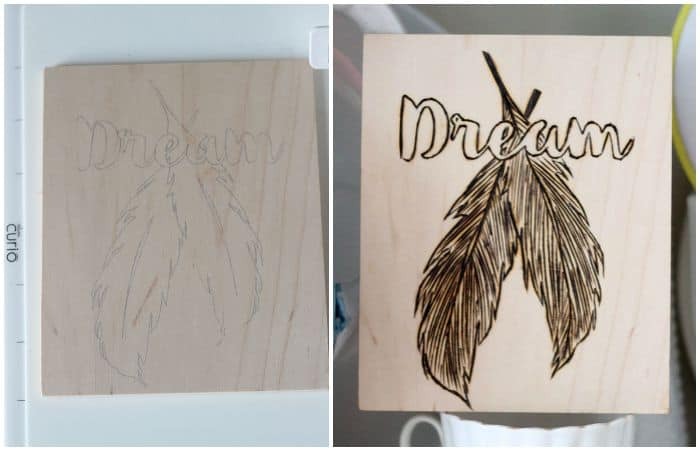 I drew the design with a sketch pen (feather is a new included design) and used my wood burner to add the detail. Then I had to try the embossing feature. 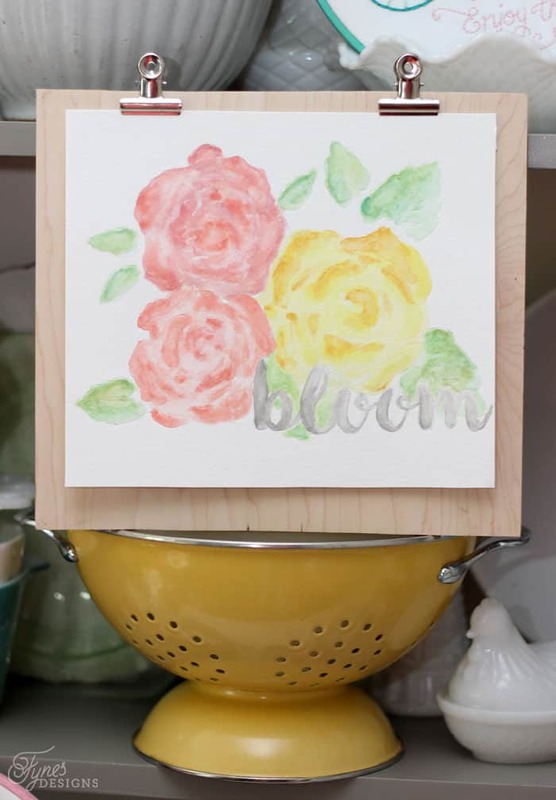 I came up with this watercolour painting hack. 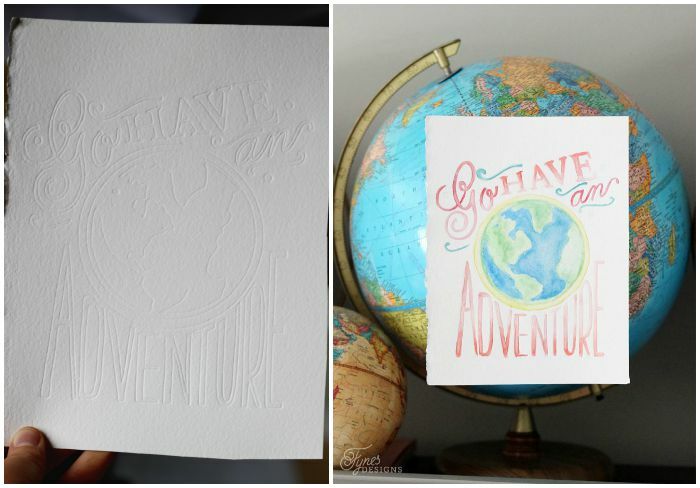 If you emboss a sheet of watercolour paper you can easily paint inside the embossed lines. It’s like paint by number but a lot less tacky! I definitely think I need to improve my watercolour skills, but the Silhouette Cameo certainly makes it much easier! Plus the Silhouette Curio still does some of the same things as the Portrait, or Cameo. What Can the Silhouette Curio Do? Check out this post on Personal Die Cutting where the differences between the Curio and the Cameo are broken down for you. The first Shipment JUST arrived in the warehouse and with the promo code FYNES you get $15 off your purchase today! But hurry supplies are limited! Pretty cool! 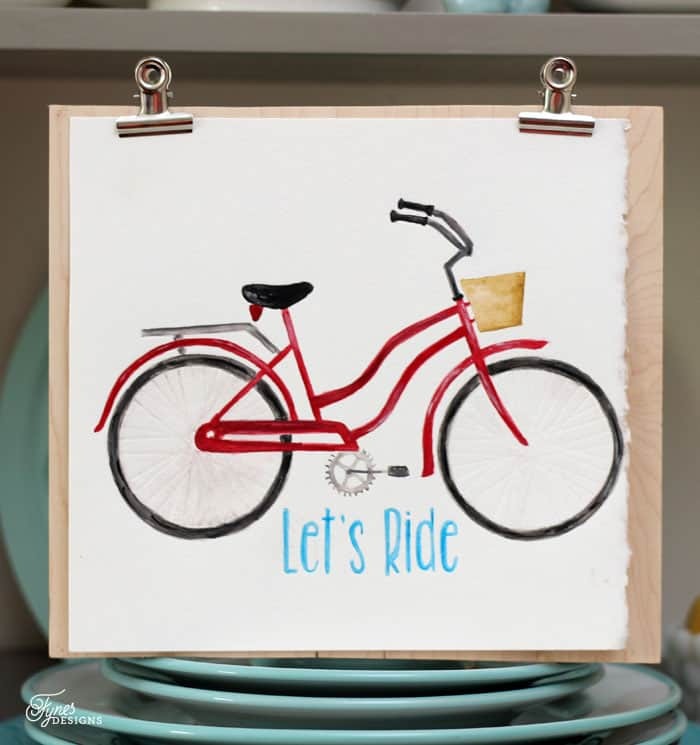 I especially love the bike painting. Thanks for sharing at #OMHGWW! Hope to see you next week. I am impressed by your creativity. Your watercolors are beautiful. Thanks for joining us on Oh My Heartsie Girl Wordless Wednesday! I would love tutorials on how to make the beautiful things you did with the Curio. I have had mine for a week now and frankly am ready to take it out in the yard and stomp it to bits….the lack of tutorials on this thing is discouraging. Everyone posts gorgeous pics of the things they’ve made with it, but no instruction on how it is done. Thanks for sharing. Hang tight a week or so Melissa. The Silhouette team is still waiting on some important supplies to ship, and the machine is new to us too, so I’m still playing and getting myself acquainted with it, before I create tutorials. I think the possibilities are going to be amazing, hope to help you soon! 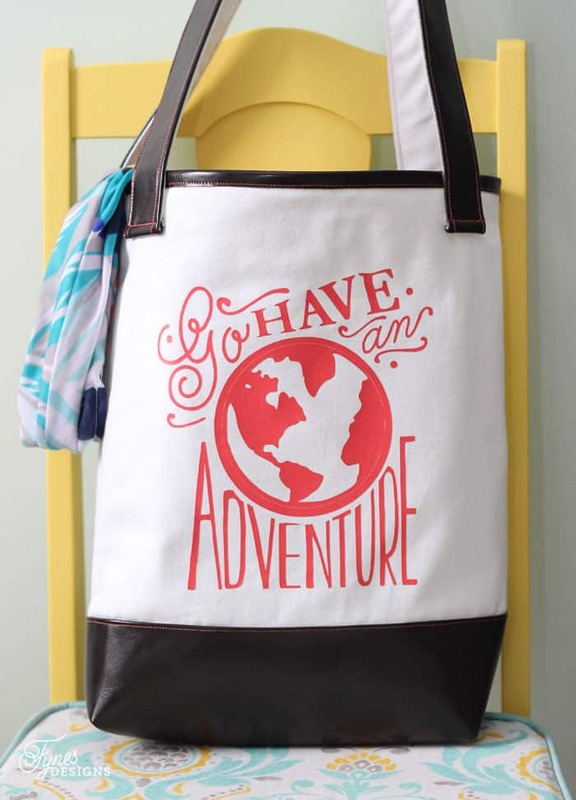 Is the “Go Have an Adventure” cut file available somewhere? I love it and all your beautiful work.